Born on May 14, 1993, Miranda Cosgrove is an American singer and actress best known for her performances in popular Nickelodeon television shows Drake & Josh and iCarly. After being discovered at the age of just 3, the actress appeared in TV commercials for Mello Yello and McDonald’s and also modeled. The professional acting debut of Miranda came in 2001 with a role in television series Smallville while her big screen debut came with 2003 film School of Rock. She received her career breakthrough role during 2004 when she was cast for the main role of Megan Parker in hit TV series Drake & Josh. 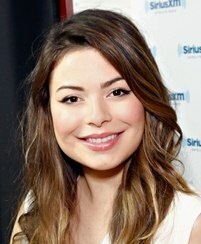 The success of the show not only earned Miranda Cosgrove international fame but also helped her in landing role in several more TV shows and movies. Since then, the actress has kept working in both film and TV industries but her next most well-known performance has definitely been as Carly Shay in hit series iCarly. Along with acting, Miranda has also ventured into the field of music. Her debut came with a few songs in soundtrack album of iCarly which was followed by her debut album titled Sparks Fly in April 2010. When it comes to her personal life, Miranda Cosgrove prefers to keep her relationships private which is why not much is known about her dating history but according to reports, she remained in a relationship with an unknown person for around three years. She loves to eat Sushi. The Catcher in the Rye is one of her favorite books. Miranda was discovered at the age of just 3 at a restaurant in Los Angeles.